Actress Agam Darshi. Photo copyright of The Promotion People. As noted above, photo courtesy of and copyright of The Promotion People, so please no unauthorized copying or duplicating of any kind. Thanks! The not-for-profit foundation Sanctuary for Kids, founded by TV Actor/Executive Producer Amanda Tapping, will host its second online auction, Thursday, April 15th 2010 starting @ 4:00 p.m. PST and running until April 25th , 2010 @ 4:00 p.m. PST on eBay. Funds raised from the auction of exclusive TV experiences and props will go to Sanctuary for Kids, which supports local and international charities providing vital aid to children and youth in crisis. Up for bids is a walk-on role on the Vancouver-shot TV series Sanctuary, a Skype chat with lead actors Amanda Tapping and Robin Dunne, and the Jade idol from the episode Pavor Nocturnus, which when touched by the character of Dr. Helen Magnus (played by Tapping), triggered her transport to a nightmarish future. Sanctuary for Kids was inspired by the Sci-Fi television series Sanctuary. The foundation's goal is to harness the tremendous and supportive Sci-Fi community and provide access to rare and experience-based online auction items from Sanctuary to raise funds for children's charities. The first auction, which took place in November 2009, raised $13,600 and since its inception just five months ago, Sanctuary for Kids has raised nearly$65,000 through its initiatives. "The support and generosity of the Sci-Fi community and of the Sanctuary fans in just these first few months has been outstanding...and humbling," commented Amanda Tapping. "We all know how influential television is. We have access to millions of people around the world who watch our show. I feel very strongly that in this industry, it is our responsibility to use this influence and reach in a much more meaningful way. And I'm thrilled at the response to Sanctuary for Kids so far - I'm really proud to be involved in this project and I applaud our fans for responding so enthusiastically." Amanda Tapping and the rest of the Sanctuary cast return for season three! Photo by Jeff Weddell and copyright of Sanctuary 2 Productions. THE Syfy Channel's groundbreaking hit original series Sanctuary, commenced production on its third season in Vancouver on March 15th. The one-hour drama's 20-episode season is slated to return to Syfy this fall. 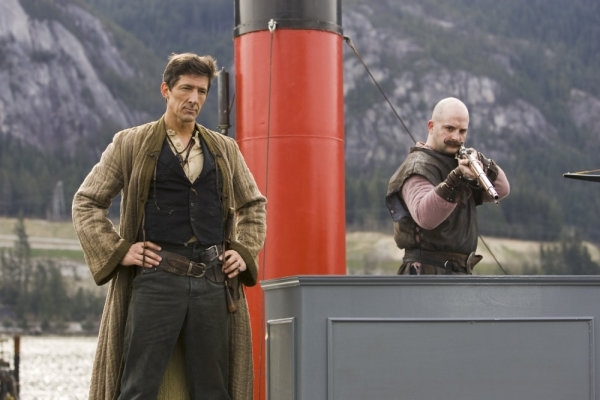 Sanctuary is one of television's most groundbreaking series, shooting almost entirely on green screen. The series was the first in North America to use the RED camera exclusively, and its stunning visual effects were nominated for a 2008 Emmy Award. Season three picks up from the adrenaline-fueled action of season two, which raised the stakes for the brilliant scientist Dr. Helen Magnus (Amanda Tapping) and her team, who use their unique combination of instinct, medicine and cutting-edge science and technology to find and aid a clandestine population of beings that the world refuses to believe exist. 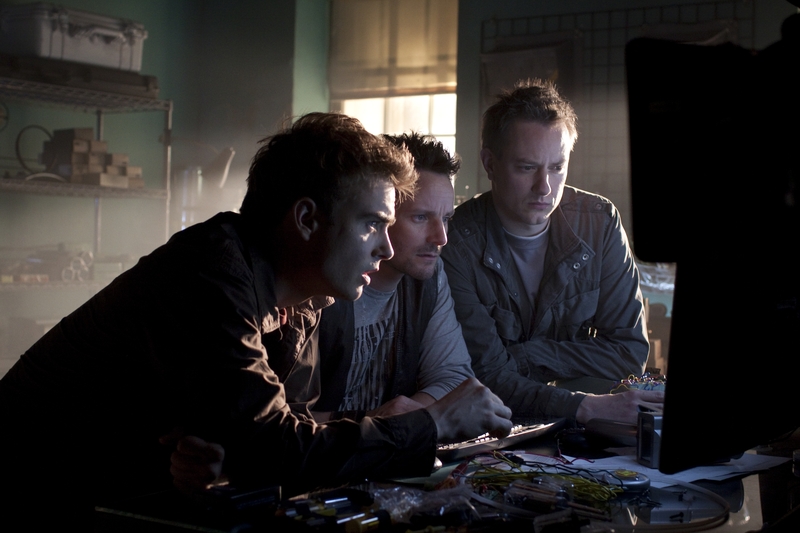 Sanctuary also stars Robin Dunne as forensic psychiatrist Dr. Will Zimmerman, Agam Darshi as the quick-witted Kate Freelander, Ryan Robbins and tech wiz Henry Foss and Christopher Heyerdahl as the sinister John Druitt. Created by Damian Kinder (Stargate SG-1, Stargate Atlantis), Sanctuary is produced in association with Syfy and is distributed by Tricon Films and Television. Season three of the series will be executive produced by Damian Kindler, Amanda Tapping, Martin Wood, Keith Beedie and Tricon Films. As noted above, photo by Jeff Weddell and copyright of Sanctuary 2 Productions, so please no unauthorized copying or duplciating of any kind. Thanks! Actor Robert Lawrenson. Photo courtesy and copyright of Velocity Public Relations. When Dr. Gregory Magnus originally founded the Sanctuary network, he did so with the intent of surrounding himself with like-minded individuals who were just as dedicated as he was to the survival, preservation and protection of Abnormals. Magnus' daughter and fellow scientist, Helen, did the same when she took over the reins from her father. Among her most trusted allies is Declan MacRae, who became head of the UK Sanctuary after the death of John Watson. The handsome Brit is smart, techno-savvy and knows how to handle himself in a tight spot. Sharing his character's UK heritage was a big help to Sanctuary actor Robert Lawrenson when initially stepping into Declan's shoes. "I was very fortunate in some respects that Declan was a Brit," notes Lawrenson. "I believe it was Michael Caine who said, 'you only have to play the differences,' and I take that to every role that I do. I start with me and compare myself to my character. I work out what the differences are in our personalities, then focus on those and think about where I need to extend my own personality in order to create the character. "With Declan, it's nice because there are similarities between the two of us, with him being an authority figure and me being kind of a quiet, authoritative type in my general sort of persona. So that's an extension of myself. However, I don't have an ex-military/SAS background, so that's a huge difference right there, and that brings with it [acting] challenges, too, because Declan is a very tough ex-Special Forces guy. He's totally comfortable with, for instance, handling weaponry and storming into a situation where there are enemy targets, but those types of things are totally foreign to me. "Luckily on Sanctuary, we have some really good stunt coordinators as well as a team of guys called Def-Con-5, who basically taught me what I needed to know about Declan's military side. I understand that these guys have an actual military/Special Forces background, so they taught us everything from handling a gun and how to hold your arms, to how to survey and secure an area. To be honest with you, I'm probably ready to go to war now because that's how much they showed us," jokes the actor. "Apart from maybe a couple of times in stage productions where I've held a gun, I've never had to be that kind of tough guy in terms of a military sense. So I had to present Declan as totally switched on and clued-in about every situation and totally confident walking into enemy territory. It was interesting to learn what the professional view of that is and then try to bring that to my performance." It was a year-and-a-half ago that Lawrenson came to Vancouver, British Columbia from the UK and began working with an agent to pursue acting opportunities on this side of the pond. "Funnily enough, everything I've done over here so far as been Sci-Fi related," he says. "I did an episode of Smallville [Abyss] as well as a Syfy Channel original movie, Beyond Sherwood Forest, which actually starred Robin Dunne [Dr. Will Zimmerman] as Robin Hood. I played his father before being stabbed to death about six minutes into the movie. Declan (Robert Lawrenson) confers with his colleagues regarding their next move. Photo by Jeff Weddell and copyright of Sanctuary 2 Productions. "Sanctuary then came up. I'd been looking at a few other projects when I received a call to come in and meet with Martin Wood [executive producer] and Amanda Tapping [Dr. Helen Magnus and executive producer]. At the time it was just a guest-star role to play Declan in one episode. It was literally for that week's filming. I really hit it off straightaway with Martin and Amanda - I would challenge anyone not to because they're fantastic individuals. It was a very relaxed casting session and they really enjoyed what I did, so they booked me for the role. "After a couple of days of shooting, Martin came over to me and said 'I'm really liking this Declan character,' and then he started talking in terms of recurring the role throughout the series. Martin mentioned a couple of ideas that he had about where the Declan character might go and when it might recur, so it just went on from there and I ended up doing four episodes in season two." Audiences are introduced to Lawrenson's character in the second half of Sanctuary's season two opener, End of Nights, Part 2. In it, Helen and her people help Declan defend the UK Sanctuary when it is attacked by a small group of super-Abnormals, including a transformed Ashley Magnus (Emilie Ullerup). Despite his military background, dealing with this type of threat is a brand new experience for Declan, and the same was true for Lawrenson when first starting out on the series. "On my first day of work I found myself standing on this completely green-walled, green-floored set with just the lighting rig above me and my fellow actors around me," recalls the actor. "I've done some presenting and hosting on a green screen, but never a drama, so this process was quite daunting to me and I wasn't quite sure how to react to it. "I told Amanda Tapping how I felt, and she said something to me that made it all click. Amanda explained that she looks at working on the green screen like working in the theater. Oftentimes in the theater, you're working in an acting ensemble with no scenery or props, and it's all about the script as well as the other actors and the communication between them and their characters. "That was the perfect thing to say because my background from childhood is theater, which I've done a great deal of. When I lived in England, I spend every year performing plays at the Edinburgh Fringe Festival, so I tend to gravitate towards the stage. That's where I found my love of acting. So what Amanda said to me made such sense and I thought, 'Wow, you're absolutely right. What does it matter that I don't have an actual wall there. As an actor, it's something that I can just visualize for a scene.' It was incredible, and it still sticks in my mind because it totally put me at ease." Will (Robin Dunne) and Declan contemplate their next move. Photo by Jeff Weddell and copyright of Sanctuary 2 Productions. 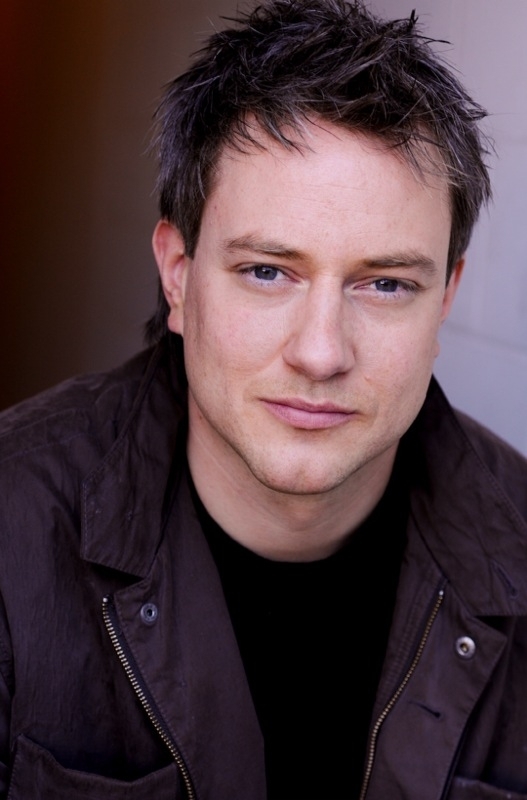 Declan's next appearance is in the season two episode Hero, where he, Helen and Will pursue a flying do-gooder (Chris Gauthier), who has dubbed himself "The Adjuster" and has interfered in their efforts to protect an Abnormal. "Hero was a lot of fun," enthuses Lawrenson. "Chris Gauthier is an absolute star and it was a laugh-a-minute the whole time he was there with us on-set. This was a big episode for Declan because the London Sanctuary had been heavily damaged, so he came over to spend some time at the Old City Sanctuary. This is when we really kicked off the relationship between Will and Declan in that they became sidekicks, which was then flipped on its head in a later episode, Veritas, where they were totally opposite of each other. "In terms of specific scenes in Hero, I remember me and Chris Heyerdahl [Bigfoot] wearing safety harnesses and standing on a warehouse railing on the show's set. We were probably 30 or 40 feet up and pushing this old refrigerator over the railing and onto an imaginary monster that was going to be 'painted' in later during post-production. That was quite memorable because I wasn't quite sure whether or not I was going to fall off with the fridge. "There's another little scene at the start of the episode that I particularly like and it's just after Will and Declan have been attacked on their motorbikes. They're back at the Sanctuary nursing their wounds and the girls are laughing at them and taking the mick out of Will. I'd love to do more scenes like that. In fact, I got to talk with some of the guys at the Syfy Channel and they told me that they really enjoyed the comedy of this episode, so hopefully we'll have more opportunities to see the lighthearted sides of these characters as well." Amanda Tapping directed Lawrenson's third Sanctuary story, Veritas, in which Helen Magnus is accused of killing Bigfoot. "I put Amanda Tapping on such a high pedestal; I don't have enough blocks to raise her up," says the actor. "She is an outstanding individual. To give the performance that she does week-in-and-week-out, and to give the performance she gave in Veritas whilst also directing, having only directed once before on both Stargate SG-1 and Sanctuary, was just amazing. "As an actor, this was my first time working with an actor/director, and Amanda has a way of connecting with an actor. I mean, so do the other directors. Martin Wood is a fantastic director and I'm not in any way comparing them, but Amanda has a different understanding of the process because she sees it from an actor's point of view as well. So being directed by her on Veritas was brilliant. Whenever we were struggling to find the right way to pitch a scene, Amanda just seemed to have the right thing to say, and that was really great. "There's a scene I played opposite Robin Dunne where our two characters are having a big argument in Magnus' office. Will comes in and Declan has his feet under Helen's desk and is sitting there tapping away on her computer looking very much at home. We had a scene prior to that, where Declan has his feet in front of the roaring fireplace in her office, and because of both these scenes, the audience is becoming suspicious of my character's motives. Amanda just found the right away to communicate to me exactly what she wanted from my character's point of view in this episode, so that made it a real joy for me to do." A quiet moment for Declan - something rare in the Sanctuary world. Photo by Jeff Weddell and copyright of Sanctuary 2 Productions. With Dr. Magnus temporarily relieved of her lead Sanctuary position in Veritas, it may at first seem as if Declan is trying to "move in" on her territory. On the contrary, he is doing his best to protect Helen as well as those working directly with her and the future of the Sanctuary network. Lawrenson is looking forward to not only learning more about Declan's and Helen's relationship, but also uncovering more about his character's background. "Declan massively respects Helen Magnus," he says. "This is a very character-driven show and there has been a lot invested in the back stories of the characters. However, not much has been revealed about Declan. We had hints about him in End of Nights, Part 2, where Nikola Tesla [Jonathon Young] says to him, 'James Watson [Peter Wingfield] must have told you about me before he died,' So there is obviously a suggestion that Declan had been working with James Watson. There are other things as well, like the argument I spoke of earlier between Declan and Will in Veritas, where my character is suspected of trying to take over the Sanctuary network. He says to Will, 'You have no idea of the political landscape,' which implies that Declan is quite entwined with the politics of the network. "So to come back to what I was saying, that there isn't much of a back story that's been provided yet for Declan, and that's really exciting for me. Again, we had the hints I just spoke of and also those in the two-part second season finale Kali, where Declan is mentioned throughout. Having laid all that foundation, I'm looking forward to seeing where our excellent writers hopefully go in terms of further fleshing out my character. As far as how I position Declan in my mind, I think he's spent many years fighting other peoples' wars, and to now be involved in what Helen is doing with the Sanctuary network, he's found a 'war' that he wants to fight and a cause he truly believes in." Born and raised in his native England, the actor made his stage debut at the age of 12, performing in musicals with a local youth theater group. A number of years later, he made his TV debut when he was cast in an episode of the long-running British drama series Heartbeat. "That was a fantastic first role for me because of the people I got to work with," says Lawrenson. "I was on-set with great British actors such as Robert Glenister, David Calder and Celia Imrie, who was my mentor that week. We all stayed at this lovely manor house hotel in Yorkshire, and the night before filming began, everyone went out together for dinner. There I was sitting with these actors whom I had watched and admired for many years on TV and they were fantastic with me. The next morning, Celia sent me a note that said, 'Don't worry about your first scene, you'll be wonderful.' I've kept that card for years. To work with someone like her on my first scene was just amazing." Holby City, Emmerdale Farm, Fat Friends, Where the Heart Is, The Royal and Doctors are among the other hit UK shows that Lawrenson has guest-starred in. Regular watchers of Coronation Street will also recognize him from his recurring role as PC Glaister. "That was another fantastic show to work on," says the actor. "It's very much like Sanctuary in terms of its friendly, good-natured, hard work ethic. 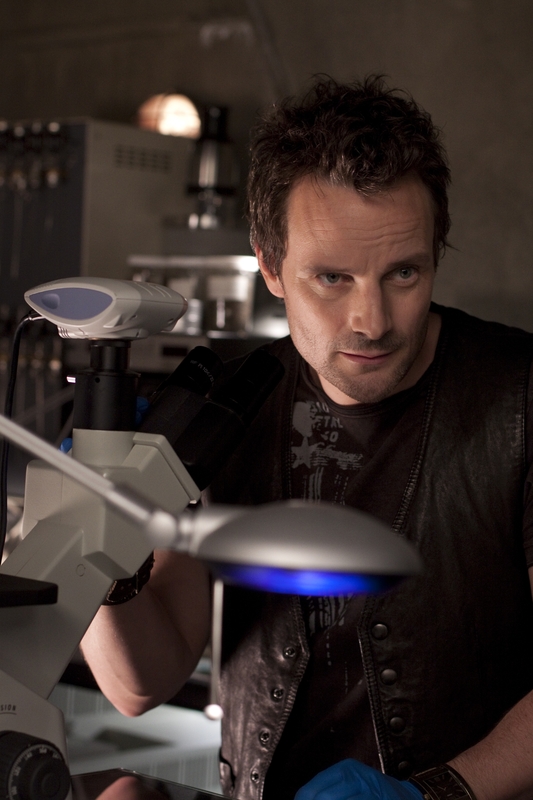 Will, Henry (Ryan Robbins) and Declan race against the clock to try to solve a problem. Photo by Jeff Weddell and copyright of Sanctuary 2 Productions. "At one point on that show, I ran into another of my screen idols, Sir Ian McKellen, who was in an episode that I was also in. Unfortunately, I didn't have any scenes with him, but one day I rounded the corner from my dressing room on the way to the green room, and he was standing there in the hall talking to Johnny Briggs, who played Mike Baldwin. I thought, 'There's Gandalf [McKellen's Lord of the Rings role] speaking to Mike Baldwin. Wow, that's not a sight you see every day.' I've worked in this industry long enough that I don't tend to get starstruck, but when I saw Ian McKellen, I got starstruck for a moment." Besides acting in front of the camera, Lawrenson also does a great deal of voiceover work for TV narration, advertising, corporate shorts and charity fundraisers, the latter of which he finds especially rewarding. "There was a charity project I did for the Alder Hey Children's Hospital in Liverpool," he says. "Yoko Ono is the patron of their society, obviously because of [her late husband] John Lennon. The hospital is around the corner from where he grew up. I think their charity is called Imagine [the Alder Hey Imagine Appeal], and she licensed the use of the Beatles song Imagine to them. David Morrissey had done the voiceover for one of their earlier videos and I was working with the production company that made it. David wasn't available for their next campaign, so I offered to do the voicing for it. "I get personal reward and personal pride in the work I do. When I really nail a scene, I feel great, but I see that a selfish reward. When you're able to contribute part of what you do for a living to a cause that's going to make a practical difference in other peoples' lives, that's truly rewarding. I don't do enough of that, and I'd like to do more. Amanda Tapping and Damian Kindler [Sanctuary creator/executive producer] have set up Sanctuary for Kids [S4K], and I'm hoping to help out with that charity in whatever capacity I can. Currently, the actor is busy doing more voiceover work, including some animation projects, as well as continuing to audition for various Vancouver-based productions. "I'm waiting to hear, too, about my possible involvement in a feature film, which would actually be shot back in England later this year," he says. "And I'm also looking forward to finding out about Declan's involvement in season three of Sanctuary." As noted above, Robert Lawrenson photo courtesy/copyright of Velocity PR, and Sanctuary photos by Jeff Weddell and copyright of Sanctuary 2 Productions, so please no unauthorized copying or duplicating of any kind. Thanks! Amanda Tapping as Dr. Helen Magnus in "Kali." Photo by Jeff Weddell and copyright of The Syfy Channel. SPOILER ALERT!! 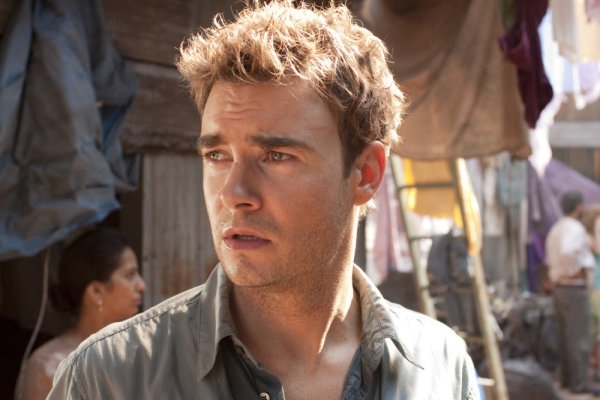 - In Sanctuary's two-part second season finale Kali, Magnus (Amanda Tapping), Will (Robin Dunne) and Kate (Agam Darshi) travel to Mumbai, India to investigate a murder and connection to the Cult of Kali, an ancient cult whose followers can foretell disaster. But when Will falls ill and then disappears, Magnus knows they are dealing with something extremely powerful...and Will is somehow linked to the mystery. In Kali - Part 2, Magnus starts to put the shocking details together surrounding Will's visions of Kali, his illness and his connection to the most powerful Abnormal on Earth. 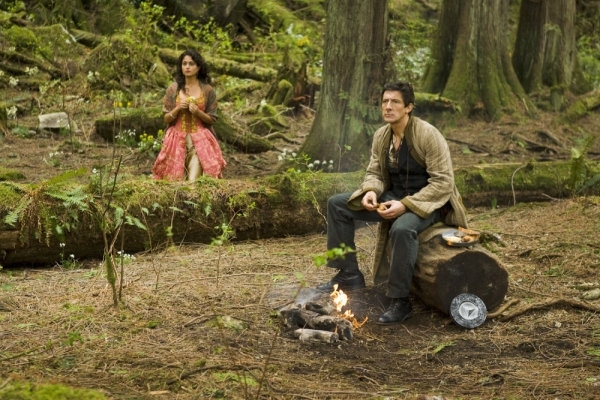 Kali airs Friday, January 15th from 9:00 p.m. - 11:00 p.m. EST on The Syfy Channel. 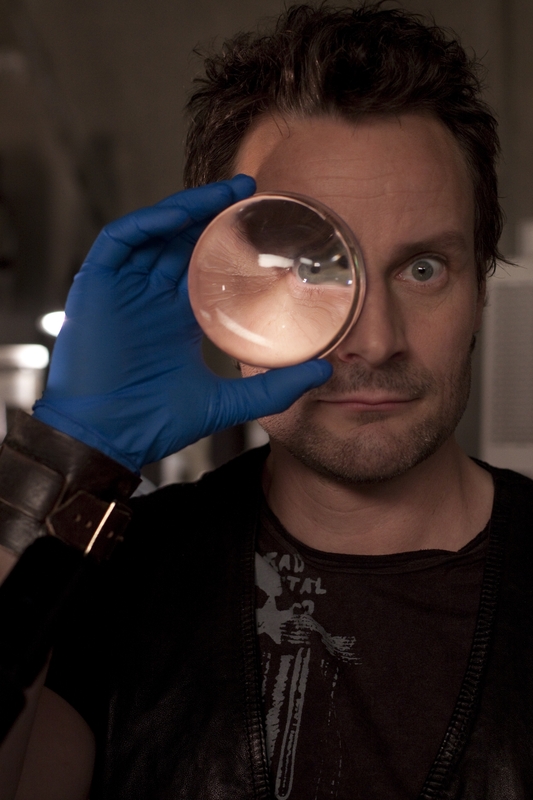 Henry (Ryan Robbins) and Magnus try to piece together the puzzle to a mysterious murder. Photo by Jeff Weddell and copyright of The Syfy Channel. 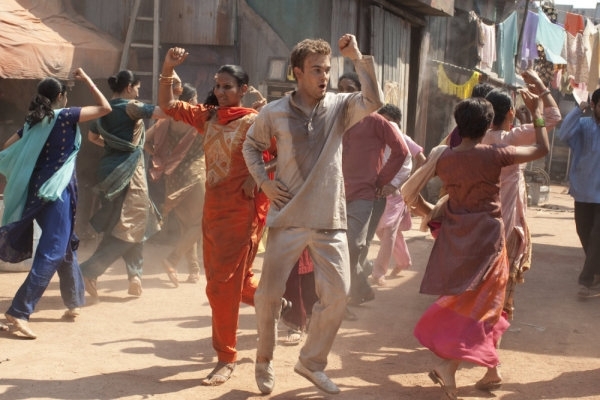 Kate (Agam Darshi) and Will (Robin Dunne) on the streets of Mumbai. Photo by Jeff Weddell and copyright of The Syfy Channel. Something is not quite right with poor Will. Photo by Jeff Weddell and copyright of The Syfy Channel. 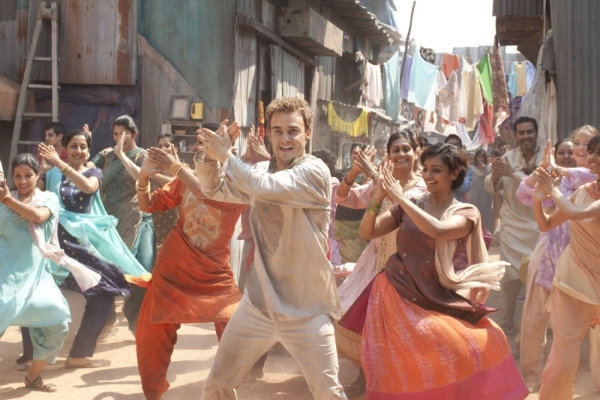 A Bollywood musical number Sanctuary-style in "Kali." Photo by Jeff Weddell and copyright of The Syfy Channel. Robin Dunne gets his groove on! Photo by Jeff Weddell and copyright of The Syfy Channel. 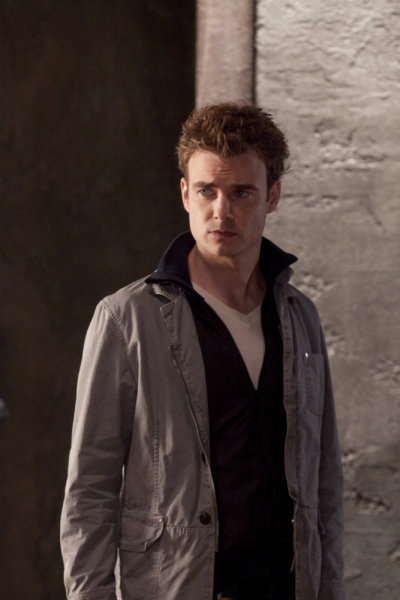 Robin Dunne IS Sanctuary's dancing machine! Photo by Jeff Weddell and copyright of The Syfy Channel. 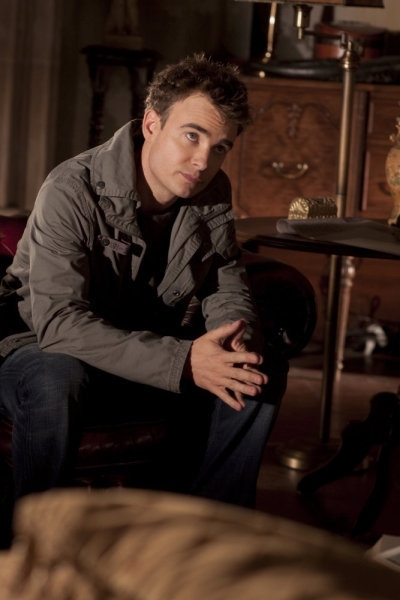 Robin Dunne as Sanctuary's Dr. Will Zimmerman. Photo by Jeff Weddell and copyright of The Syfy Channel. It was not that long ago that forensic psychiatrist Dr. Will Zimmerman crossed paths with Dr. Helen Magnus, but was it fate or happenstance that brought them together? It was, in fact, no accident that the scientist sought out Will and offered him the opportunity to become her protegé and part of the Sanctuary team. His curiosity got the better of him and he accepted. Since then, Will has been helping Magnus protect one of Earth's oldest and sometimes most dangerous inhabitants, creatures called Abnormals. In Sanctuary's first season finale, Revelations, a mysterious group known as the Cabal set a plan in motion to turn Abnormals against humankind. 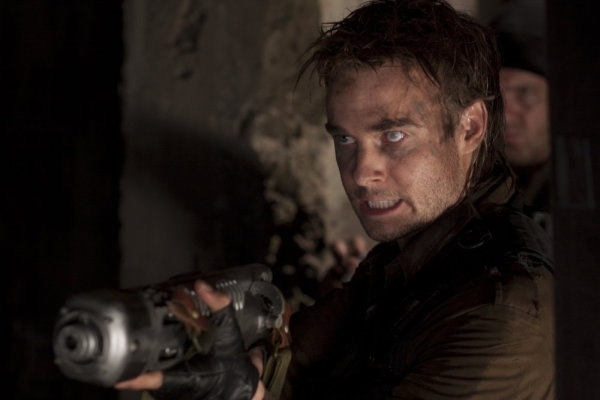 Unknown to our heroes, this was the prelude to something far bigger, and for the actor who plays Will, Robin Dunne, it marked the end of what had been a challenging first year on the job. "I had never done a full season of a TV show before, and certainly not one like this," says Dunne during a break in filming on Sanctuary's Vancouver set. "I loved it and it was so much fun doing the things that we did, but it was tough, too. There were some very demanding episodes, so by the end of last season I felt like I'd just crossed the finish line of a marathon. It was great to get to the finale, where we were wrapping stuff up and bringing in other characters. Not only did I get to work with our core cast - Amanda Tapping [Magnus], Ryan Robbins [Henry Foss], Emilie Ullerup [Ashley Magnus] and Chris Heyerdahl [John Druitt/Bigfoot] - but also Jonathon Young [Nikola Tesla], who came back for a visit, and Peter Wingfield [John Watson]. It was such an amazing story and brought together a number of loose ends. "Things felt like they were going so fast last season, and then we kind of hit a wall and stopped. It was strange for me because this show was, and still is, a huge part of my life. I was here every day and we were so immersed in the series and believed in it so much that, after we wrapped, I'd initially wake up every morning and think, 'What am I going to do now?' or, 'How come I'm not in the Sanctuary?' On top of that, I was on pins and needles wondering if that [first season] was going to be it. That's another strange thing about doing a TV show and bringing its characters through all types of cliffhanger situations where certain things are left unresolved with them. We didn't know for sure if we'd be able to resolve any of these situations. So it was amazing and weird all at the same time. Will and his new "boss," Dr. Helen Magnus (Amanda Tapping). Photo by Jeff Weddell and copyright of The Syfy Channel. "I remember on the final day of filming, I saw Martin Wood [executive producer/director], Amanda Tapping [executive producer] and Damian Kindler [series creator/executive producer], or the Holy Trinity as I call them, together in one of the offices. I thought it would be a good time for me to go up to them and thank them for the amazing thing they'd done for me as far as giving me a part on the show and having the faith in me that I'd be able to do the job. Within 10 seconds of me going into my, 'Hey, thanks guys...' speech, I was bawling. And suddenly I looked around at Damian, Martin and Amanda, and all four of us were standing around that office in tears. So it was a swirl of emotions and, thankfully, we're back here and getting to do it all over again. And as you watch season two, you see that there are some big changes. There are ripples that began at the end of last year that have turned into huge tidal waves for us here in the Sanctuary." In the aforementioned Revelations, Ashley is captured by the Cabal, who uses her to steal a vial of pure vampire blood that Magnus, Will and others risk their lives to obtain. With that blood, they are able to manipulate Ashley's DNA and that of five others, changing them into super Abnormals. In Sanctuary's season two opener End of Nights, these Abnormals almost bring down the entire Sanctuary network. Magnus and her people manage to stop them, but not without great personal sacrifice. As they struggle to deal with their losses, they must also repair the damage done to Sanctuaries around the world as well as continue with their ongoing mission. No longer a newcomer, Will must step up to the plate even more as Magnus' second in command. "The responsibilities that my character has are far greater this year because of what Magnus is going through and the things that are pulling her in all different directions, which is especially true in the first three episodes," notes Dunne. "My approach to Will and the way he was written last season was sort of tentative. He was between two worlds and wasn't sure if he really belonged here. The Sanctuary was intriguing to him, but at the same time there was the pull of his old life. So there was just a little bit of uncertainty with him, but that's gone this year, and I think there's more of a dive-in approach and aggressiveness to Will. He has a greater confidence in himself and feels without a doubt like he belongs here. Out in the field. Photo by Jeff Weddell and copyright of The Syfy Channel. "What's gone as well are any of the situations you saw last year with Will being out in the field and going, 'But I don't want to use a weapon.' He's now resigned himself to the fact that, yes, he's got to go out on missions, and, yes he's got to be armed when doing so, and he's just going to have to deal with it. There's a 'hardness' with Will, and that's because it's crisis time. There's no place for any of this, 'Oh, God, what am I doing here?' He and his teammates are dealing with some major Armageddon issues and it's all business. "Also in season two, when Will has something to say to Magnus, he says it," continues the actor. "There are times this year where there has been a slight butting of heads between the two, but not in an unfriendly way or one which suggests that they're not getting along. My character is definitely the vice president if you will, and he's not afraid to step into the president's office and say, 'Look, Madam President, you need to do this; you need to do that.' He has some very strong opinions and there's no longer any of that social etiquette or politeness between Will and Magnus. These are just two people who are pretty much in-sync most of the time and really speaking to each other and telling one another what they need to hear, whether they like it or not. "It's funny how sometimes things are parallel in the fictional and real worlds. In the real world and with the making of this show, I feel like, OK, this is season two. We've cleared the hurdle of being a new show and now we've arrived. And I would guess that Damian, Amanda and Martin feel the same way, too. It's like we belong a little more, and stylistically you're going to know that you're watching Sanctuary this season. There is some visual stuff that really pops out at you. So the overall feeling was one of, 'Hey, let's just go in there and blow the lid off this thing,' and it's exciting. Look, I hate to be one of these bumbling, overly positive Ed Flanders-type of guys, but you know what, we loved this program so much last season, but this year it's gone to a whole new level. We're like, 'Wow, there's Kismet in the air,' and I think we're doing something pretty cool." Will Zimmerman, Sanctuary's "vice president." Photo by Jeff Weddell and copyright of The Syfy Channel. Among the lives lost in the effort to save the Sanctuary from falling was Ashley, who sacrificed her own life to save that of her mother's. Will also lost Clara Griffin (Christine Chatelain), the granddaughter of Nigel Griffin, who, together with Helen Magnus, was a member of The Five. Clara inherited her grandfather's power of invisibility and died helping defend the Sanctuary in End of Nights. "There was definitely a little bit of a spark and an attraction between my character and Clara," says Dunne. "Unfortunately, poor Will doesn't have much luck as far as women go. When the world constantly seems to be falling down around you and you're trying to hold it together with some glue and dental floss, your love life tends to suffer. Sadly, this is one chapter in my character's life that has come to an end." Will and his new co-worker, Kate Freelander (Agam Darshi). Photo by Jeff Weddell and copyright of The Syfy Channel. "It's an odd relationship that Will and Kate have," explains Dunne. "It's a slow build. At the beginning, there's no real trust between either of them at all. They're two very different people. Will is not someone who reacts to things without thinking them through first. He will analyze all the options and then try to make the wisest choice. Kate, however, has more of a knee-jerk reaction to things. She does what she thinks is right on the spur of the moment. So Kate and Will clash, and at first he's not even sure whether or not she's going to be around for long, or if she really belongs in the Sanctuary. But over time, there's kind of a mutual, if not maybe a little distant, respect that develops between the two. Agam has brought a wonderful new energy to the show, while her character of Kate has really shaken up the team dynamic." "Last year, Amanda and I did a couple of two-handers and it was a really terrific experience. It's like doing a play in that we shoot them in sequence, which is fantastic. So in keeping with that theme, we have a couple of two-handers this season as well, one of which is set in the future and is called Pavor Nocturnus. In it, Magnus is basically 'infected' by this Abnormal that gives her a glimpse into the future. Needless to say, the future hasn't gone particularly well, and when we meet Will in this episode he's changed. He looks nothing like the way we know him to look, nor acts anything like the way we know Will to act. "It was a terrific thing for me to be able to do, and at the same time a pretty tricky acting challenge because it was almost like playing a new character. A great deal had happened to Will; he'd seen so much tragedy and had to deal with a number of things. It was really quite daunting for me to do these scenes, and when they'd say, 'Cut,' I'd say to Marty, Damian or Amanda, 'I don't know what this is going to look like. It's possibly going to come out looking terrible.' As always, they were extremely supportive and said to me, 'It's great. Just don't think about it. Just get out there and do it,' which I did, and I think it turned out pretty well. It was just weird to take a character that you know and know how to play and try to approach it in a way that you've never played him before." Will is not quite himself in "Pavor Nocturnus." Photo by Jeff Weddell and copyright of The Syfy Channel. Executive producer/director Martin Wood and executive producer/Sanctuary leading lady Amanda Tapping during a read-through for "Veritas." Photo by Jeff Weddell and copyright of The Syfy Channel. "We've been having a good time on this one," enthuses the actor. "Amanda is amazing to work with as an actor as well as a director, and it seems like our team here is getting to the point where it's almost non-verbal communication. By that I mean everyone is so in-sync that not a lot needs to be explained. If, for instance, Amanda calls, 'Cut,' and starts walking over to me, before she even says anything, I'll be like, 'I know, less of this and more of that.' She'll say, 'Yep,' and then boom, boom, boom, we're back to it. I think that's the cool thing about working with such a tight-knit group of people. We're all on the same page and believe in what we're doing and know the show so well. "Again, this is season two, right? So not only do we know the program that much better, but the relationships between everyone are that much stronger, too, and that goes for us as people as well as our characters. Last year was smooth, but this season is that much tighter and more solid." While working on Veritas, the actor was also busy prepping to shoot episode eight, Next Tuesday. "The next story is another two-hander where Will and Magnus are trapped in a helicopter that crashes into the ocean and they're dealing with giant squids and all kinds of stuff," he says. "The two characters are also having a difference of opinion on certain matters. There's water, water everywhere for poor Will in "Next Tuesday." Photo by Jeff Weddell and copyright of The Syfy Channel. 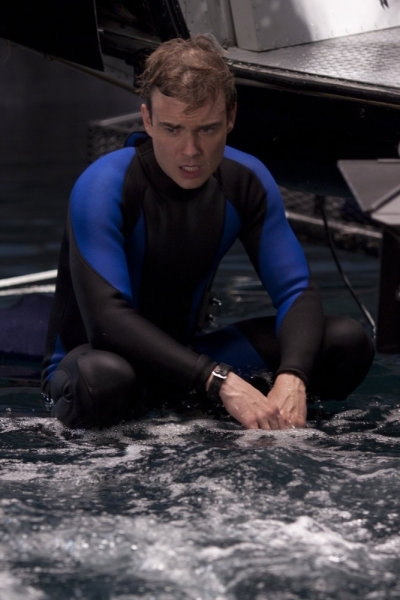 "The fact that this episode takes place in water is a little intimidating, but at the same time totally exciting. I spent all day yesterday at the bottom of a pool learning how to scuba dive. 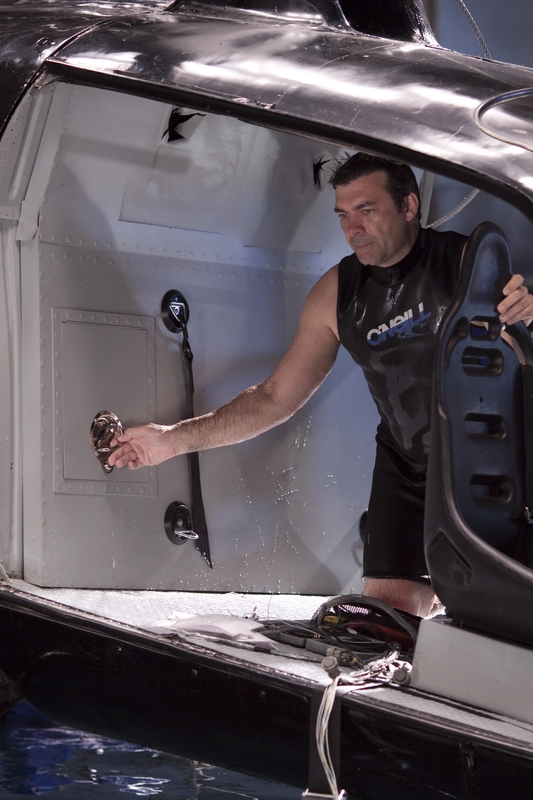 It's going to be five days of wetsuits and us floating in a water tank. Again, we're just constantly pushing the envelope and crossing boundaries insofar as telling these stories." Although Sanctuary still had a couple of months to go before wrapping for its second year, Dunne was thinking about one or two projects he was looking forward to during the hiatus between seasons two and three, including one of his own creation which is slated to start shooting in Spring 2010. "I wrote a feature film script last year that I sold to a company in Los Angeles," says the actor. "It's called B.F.F. and basically it's a comedy about two girls who are best friends in high school. Then, however, one goes to New York and becomes a hotshot lawyer, while the other one stays behind in this small town. Ten years later she decided to go to New York to find her best friend, but their lives have taken different paths and they're not the same people they once were. It was neat to write a sort of girl buddy comedy because you don't see many of those. I think the script turned out pretty good and I'm really interested to see who they cast". 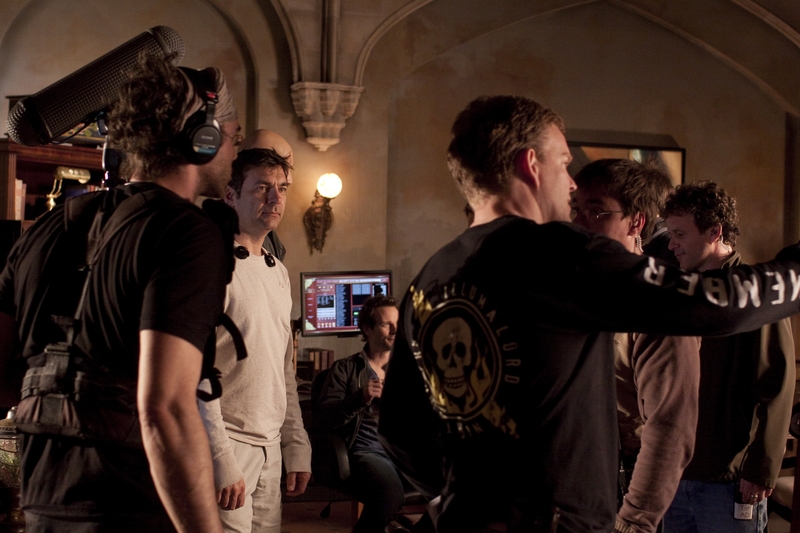 Martin Wood (front left) on the Sanctuary set. Photo by Jeff Weddell and copyright of Sanctuary 2 Productions. "When we came back this year and talked about where we wanted to go with the second season, we all knew that we now had an idea of what this show could be," recalls the director. "The direction that Damian Kindler [series creator/executive producer], Amanda Tapping [who stars as Dr. Helen Magnus and also serves as an executive producer] and I wanted to go in was to make Sanctuary bigger and better. And everyone here took that to heart and ran with it, which I think is great. "We went through a whole range of different things as far as how we were going to start the season and what we were going to do. That included looking at a bunch of audience reactions to season one, because we wanted to react to what the viewers felt. As a result, we decided, 'We have to shake things up a little bit.' You know my philosophy on major characters; I always feel that they have to be expendable because the only thing that keeps a TV show alive is if its characters are in real jeopardy. If not, every time one of them gets into a dire situation, you know they're going to come out OK on the other end. Emilie Ullerup (as Ashley Magnus) and Martin Wood. Photo by Jeff Weddell and copyright of Sanctuary 2 Productions. "We decided to take the Ashley [Emilie Ullerup] character and 'Sci-Fi' kill her, meaning she could come back in other episodes and different incarnations. After all, we have a 158-year-old Magnus, so her daughter could possibly come back. There are a number of things we could have done in terms of introducing jeopardy into our story; this is the way we wanted to go and Emilie embraced it with both hands. She was outstanding," praises Wood. "In the first two episodes, she utters one word, 'Mom.' That's it. The rest of her acting is done with just her face, which is tough, but Emile did it beautifully. I told her at the end of shooting the second episode [End of Nights, Part 2] that it was some of the hardest acting she had ever done on the show and she did a terrific job." At the end of Sanctuary's first season, Dr. Magnus' chief rival, the Cabal, manages to turn Ashley against her mother and everything Magnus stands for. In the two-part second season opener, End of Nights, Ashley and five other individuals are transformed into super Abnomals and used in a campaign to bring down the entire Sanctuary network. Wood was given the monumental task of directing this story, which, among other things, has a fast-moving action sequence featuring new series regular Agam Darshi who plays con artist Kate Freelander. 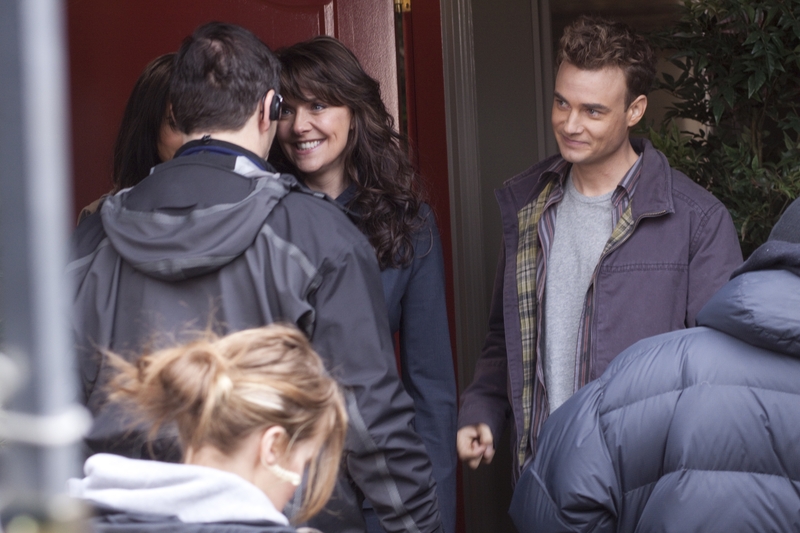 Martin Wood (back to camera) with Amanda Tapping (Helen Magnus) and Robin Dunne (Will Zimmerman). Photo by Jeff Weddell and copyright of Sanctuary 2 Productions. "The idea was that if it was a sunny day we could have the top down on the car and Magnus with her hair blowing in the wind and driving this convertible. 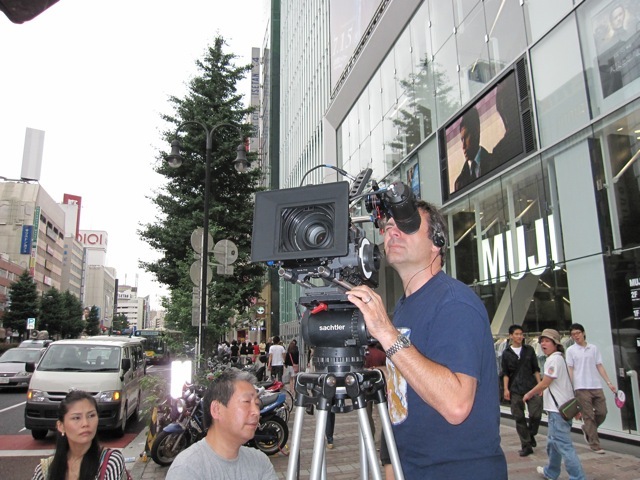 Then we found a place where we could actually shoot the scene, and without Damian knowing it, I set up this type of camera called the Ultimate Arm, which is a Mercedes SUV with a giant crane hanging off the side of it. You can stuff six people into this thing, and as the director I get to sit in the back sideways, because there's a little hatchback in the rear. We travel twice as fast as the cars in the scene in order to beat them and get in front of and beside them. By doing it this way, we could have Amanda driving Damian's car, Ryan Robbins driving a car, and Agam Darshi driving a car as well. "So we were able to drive beside them like that, but when we got into the hot and heavy stuff, Amanda said to me, 'I'm going to keep driving.' She's used to driving a sports car anyway, so that's what we did. We were shooting for about six hours and halfway through the day, Damian came out to see how things were going. The first words out of his mouth were, 'My car!' as he watched Amanda winding around a corner. And he had just put on his good tires, too," chuckles the director. "Damian had no idea it was going to be a minute-and-a-half chase sequence, so that was fun to do." Although it has been known since season one that Magnus' Sanctuary organization is a global one, it was felt in year two that this fact needed to be visually reinforced to the audience. Wood and his fellow executive producers also wanted to give Abnormals a greater onscreen presence this time around. "One of the things we decided to do in season two was put more Abnormals into everything we did," says Wood. "So, for example, in the season opener there was the fight with the big giant Abnormal. We had a huge stunt guy dressed in a green suit. He was only half the size of the Abnormal you see on the screen, but we still had more stunt guys jumping on top of him during that scene. It was pretty cool. 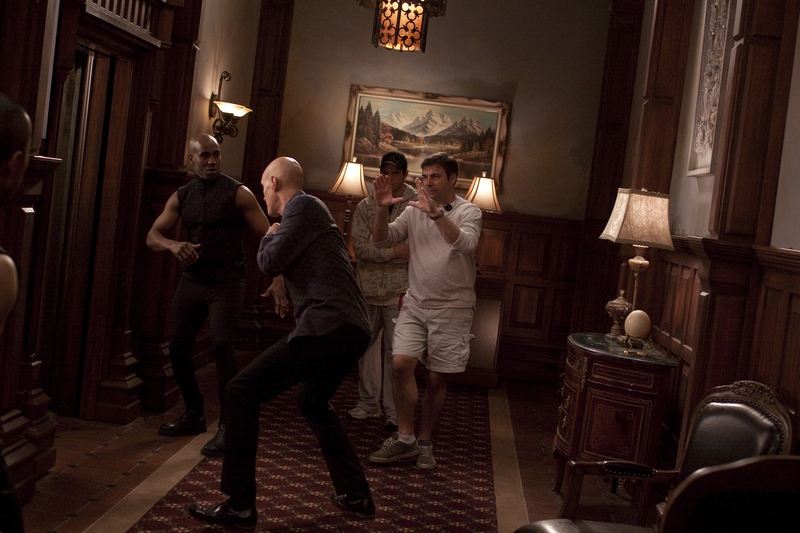 Martin Wood running through an action sequence with Robin Dunne. Photo by Jeff Weddell and copyright of Sanctuary 2 Productions. "We also showed our Sanctuaries in London and Tokyo. We had talked about them before, but now we were actually in them. There's that great scene with the nine monitors and Magnus talking to nine different Sanctuary heads, including Medusa in Japan, who you see after the Tokyo Sanctuary is attacked. There's also the actual attack, where Ashley and two other super Abnormals drop through the skylight. I had talked with Lee Wilson [visual effects supervisor] about doing that practically. 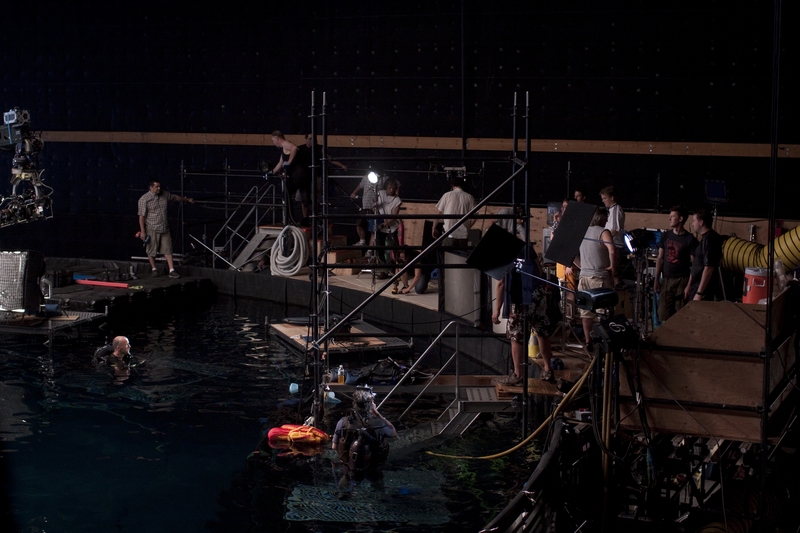 We went through all the machinations of what the set would look like and all that, and he said to me, 'You know what, just let me do it [using VFX].' Lee then took it and just ran away with it, and it was so amazing. It really was a remarkable visual effect for something done completely through a computer, and the entire process took about two weeks, too. "That's something else that happens with our show. We end up getting so little time to do feature-film-like effects. You hear some people saying, 'But it doesn't look like it does in the movies,' but it sometimes takes up to a year to do movie VFX. That's why these sorts of things aren't done very often on TV, because of the time involved. Sometimes I'll be sitting with our visual effects guys, who will show me things on the computer, and my only reaction is, 'Oh, my God, that's so cool. OH, MY GOD, THAT'S SO COOL!' And I'll keep amplifying that response until everyone in the office is hearing me. They never hear me say, 'Oh, that doesn't look that great.' We're fortunate to have some really good [VFX] artists working on Sanctuary. I love the fact that in our first two episodes alone this year we have half the number of visual effects as we had in all of season one. That's one of the ways we ramped up the show this year." Setting the stage for the big fight sequence. Photo by Jeff Weddell and copyright of Sanctuary 2 Productions. Chris Heyerdahl (John Druitt, dressed in black, back to camera) in "action-mode" with Martin Wood right beside him. Photo by Jeff Weddell and copyright of Sanctuary 2 Productions. "Chris Heyerdahl came in and started rehearsing, and on the day leading up to the sword fight, whenever he had a break, he'd walk over to the side of the set, grab the practice swords and fight. He had the [stunt] guys there the whole time so he could practice, so when the time came to shoot the fight, it was mostly Chris doing it. Mike [Desabrais, stunt player] and the two stunt doubles were there for a couple of shots for when it got really violent, but otherwise all the activity you see on the screen is Chris. When we cut it together and I watched the scene for the first time I was like, 'This is definitely worth it.' It was very convincing and unlike any fight I'd ever shot before." In the final moments of End of Nights, Ashley regains control of herself from the Cabal just long enough to save her mother's life, but in order to do so, she must sacrifice herself. Not surprisingly, it was an incredibly moving moment for all involved. "Damian, Amanda and I massaged that scene in so many ways," says Wood. "We sat down and looked at all the different scenarios for how Magnus could come across Ashley and how she couldn't shoot her. Amanda then came up with the sequence of events, and then I said, 'Well, Magnus has to put her gun down at some point.' And that's how that whole scene came together - the three of us sitting in Damian's office and deciding how we wanted to play it out. "Then during the actual shooting of the scene, Amanda collapsed on the floor like she was supposed to, and I was standing behind the cameraman, who I kept pulling further and further back. It was so hard to watch Amanda cry like that. 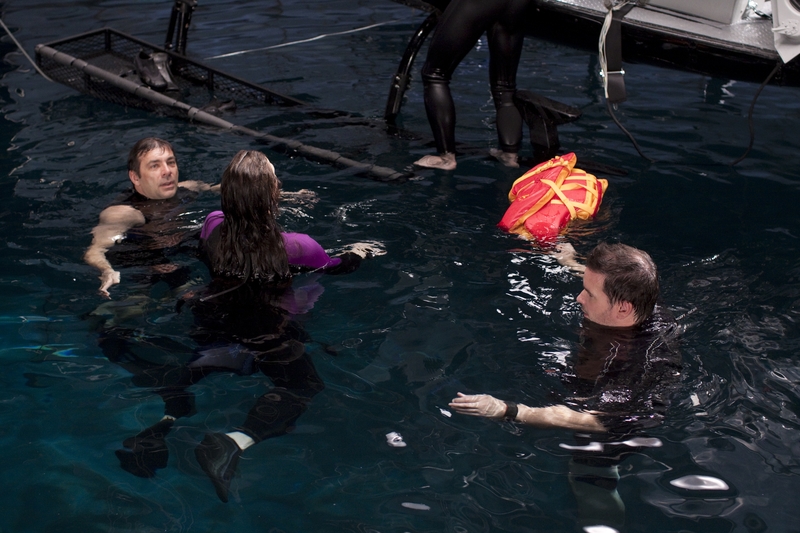 She was so distraught [in the scene] and the entire crew was waiting for me to yell, 'Cut!' Amanda was also looking at me as if to say, 'Why aren't you saying, 'Cut!' But I just kept pulling the cameraman back and having him continue to shoot way longer than is comfortable in a situation like that. I really felt, though, that that's what was needed at the end of this episode where Magnus is saying goodbye to her daughter under the most heinous of situations. It was very emotional and we don't shy away from that on our show. We allow that to happen as opposed to keeping it light." 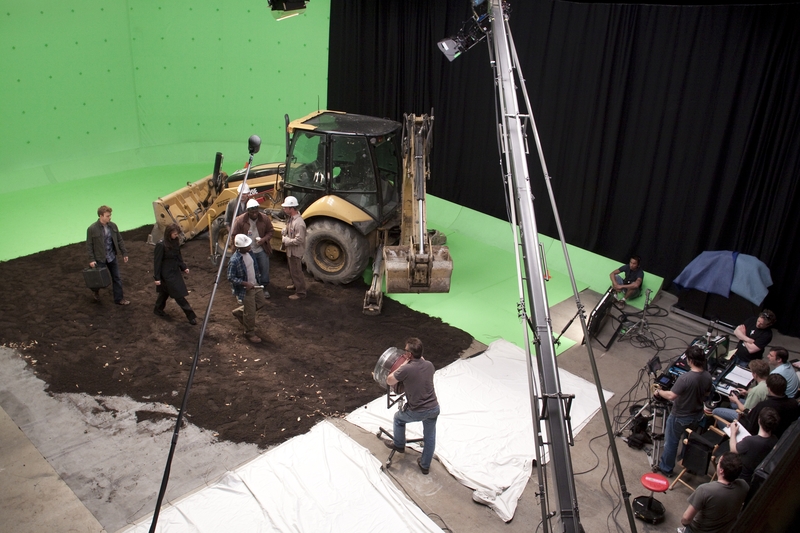 Green screen work on the Sanctuary set. Photo by Jeff Weddell and copyright of Sanctuary 2 Productions. Following Sanctuary's season opener, Wood directed episode four, Hero, in which a very ordinary man is unexpectedly thrust into a very extraordinary, and life-threatening, predicament. "This story shows us that, yes, human beings can 'fly,'" says Wood. "It's an amusing romp as well as a standalone story and a chance for our characters to take a bit of a breather from all that's been happening to them. "Damian wrote a Stargate SG-1 episode called The Other Guys, and it was the first story of his that I directed. It was a great deal of fun, so he did the same kind of thing with Hero. It's like Sanctuary's The Other Guys. 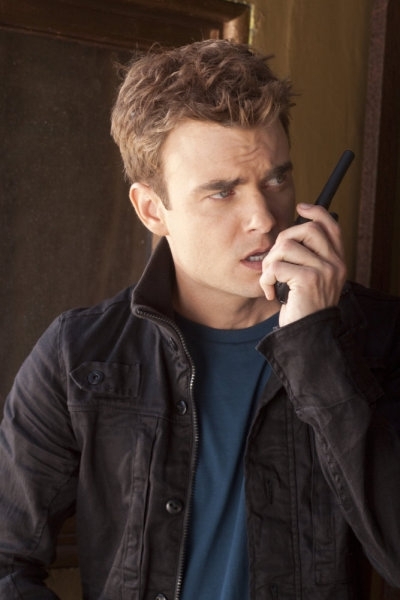 Chris Gauthier from Eureka guest-stars in it, and his character [of Walter, "The Adjuster"] is one that we would like to bring back in the third season. On-location with Martin Wood. Photo by Jeff Weddell and copyright of Sanctuary 2 Productions. "We've done a lot more 3-D creatures as well in season two, and Hero has one in it called a Coleanthropus, and it looks great. The first time you get to see it in all its glory is in-between two garbage bins. Then it stands up and you're like, 'Yikes!' There's a huge fight with it during the climax of this episode that's neat." The director had been slated to shoot the episode Pavor Nocturnus, but the schedule subsequently changed and Brenton Spencer, another name very familiar to Stargate and Sanctuary fans, directed it instead. "When we finished the episode, we looked at it and said, 'It doesn't quite end the way we wanted it to,'" says Wood. "So we rewrote the final two scenes to give the story a bit more of a twist and I then shot those. Brenton did a fantastic job of directing what is a really, really dark story that includes a scene where Magnus gets physically abused. "My next episode was number eight, Next Tuesday, which is this year's Requiem [referring to a season one story], and it's Amanda Tapping and Robin Dunne [Dr. Will Zimmerman] in the borehole of an oil rig in a crashed helicopter. They spent five days with me in a pool of water that was 72 feet across and 20 feet deep. Everything was done with Amanda and Robin, no stunt people, and it was quite incredible. I wanted to see one morning how long I could tread water without holding on to anything - I went four-and-a-half hours directing from a treading water position. And Amanda and Robin were in and out of the helicopter, in the water, underwater, you name it. It was a very hard shoot for them, but it turned out to be a beautiful episode." 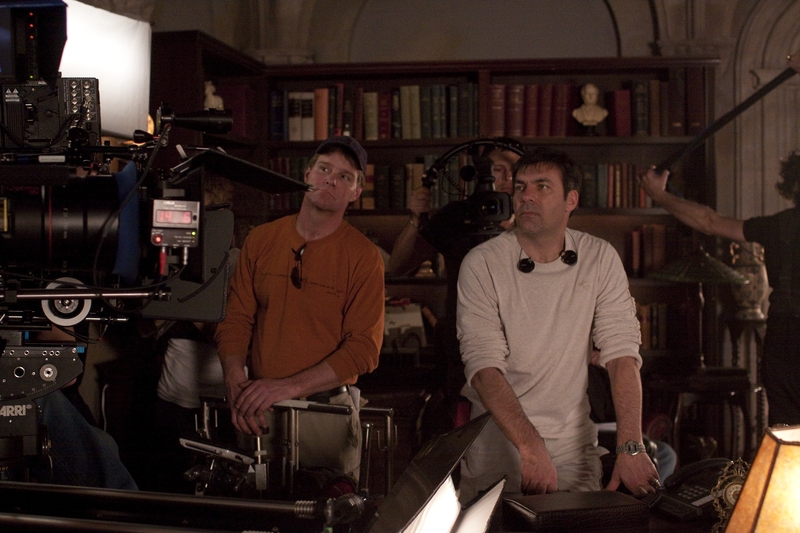 Martin Wood directing Amanda Tapping and Robin Dunne in "Next Tuesday." Photo by Jeff Weddell and copyright of Sanctuary 2 Productions. Something nasty is lurking behind the door...Photo by Jeff Weddell and copyright of Sanctuary 2 Productions. Behind-the-scenes shot from "Next Tuesday." Photo by Jeff Weddell and copyright of Sanctuary 2 Productions. 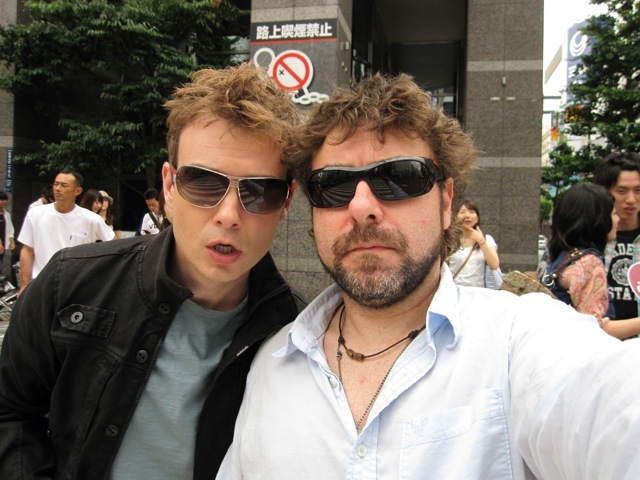 Singer, songwriter, artist and industrial designer Tatsuya Ishii, Robin Dunne and Amanda Tapping shooting in Tokyo. Photo courtesy of and copyright of Martin Wood. 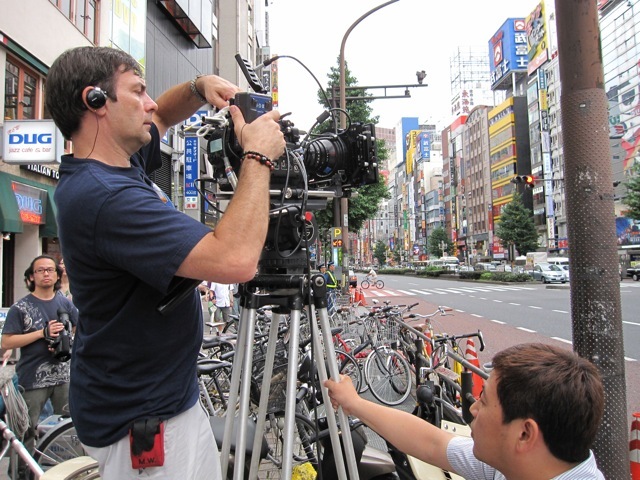 On-location in Tokyo with Robin Dunne and Damian Kindler - who have been up for 74 hours. Photo courtesy of and copyright of Martin Wood. "We'd been flying for 11 hours and after arriving in Tokyo we went on a little tour of the city and thought, 'OK, we can shoot something here, and we can shoot something there.' We even arranged to use a celebrity from there, Tatsuya Ishii; he's a pop star as well as a Renaissance man, a beautiful sculptor and just a really cool guy. We wanted him to play the head of the Tokyo Sanctuary. Martin Wood, the director, as the cameraman ("I was the only one who knew how to use the RED camera"). Photo courtesy of and copyright of Martin Wood. Damian Kindler, Martin Wood, Robin Dunne and Amanda Tapping in the pouring rain! Photo courtesy of and copyright of Martin Wood. Amanda Tapping and Robin Dunne shooting in Shabuya. Photo courtesy of and copyright of Martin Wood. "Damian wrote two scenes, and when we got to the filming location there was a soundman along with a camerman, but the cameraman didn't know how to operate the RED camera [ultra high-definition camera] that we use. So it kind of fell to me to say, 'OK, I'll do the shooting.' Damian was sort of wrangling things from a production assistant standpoint, so we filmed the scenes and just had a ball." More shooting in Shabuya with Martin Wood. Photo courtesy of and copyright of Martin Wood. Final touches! Photo courtesy of and copyright of Martin Wood. With a second season of Sanctuary under their respective belts, Wood and the rest of the show's cast and crew cannot wait to start work on number three. "This year has been just spectacular," enthuses the director. "Amanda Tapping went further [as an actress] than I've ever seen her go in anything before. Robin Dunne, Ryan Robbins, Chris Heyerdahl, Agam Darshi, Robert Lawrenson, who plays a new character, Declan Macrae, and Jonathon Young, who came back a couple of times as Nikola Tesla, all really pushed themselves creatively as well and I loved that. Sanctuary DOP (director of photography) Gord Verheul and Martin Wood. Photo by Jeff Weddell and copyright of Sanctuary 2 Productions. "As for season three, we've talked a lot about that already and are very much looking forward to it. In the meantime, we couldn't be more pleased with the show, and the fans seem to be happy with it, too, so it's all good." Cut and print! Photo by Jeff Weddell and copyright of Sanctuary 2 Productions. Former Stargate SG-1 castmates Michael Shanks and Amanda Tapping join forces yet again this week on Sanctuary. Photo by Jeff Weddell and copyright of The Syfy Channel. SPOILER ALERT!! - Magnus (Amanda Tapping) is reunited with an old friend, Jimmy (Michael Shanks) who is transporting a valuable elemental Abnormal to the Sanctuary for safety. But an underground mob accustomed to cashing in on the Abnormal black market, tracks down Jimmy and his valuable cargo before the delivery is complete. Magnus and Jimmy find themselves in a dangerous shootout, determined to save the Abnormal. Will (Robin Dunne), Kate (Agam Darshi) and Henry (Ryan Robbins) are quick on the scene as backup. Kate proves her worth when she manages to get Jimmy and the Abnormal to safety. But not before taking a shot from one of the mobsters herself. Kate (Agam Darshi) helps Magnus (Amanda Tapping) determine how to best deal with members of a mob who are out to capture an Abnormal. Photo by Jeff Weddell and copyright of The Syfy Channel. 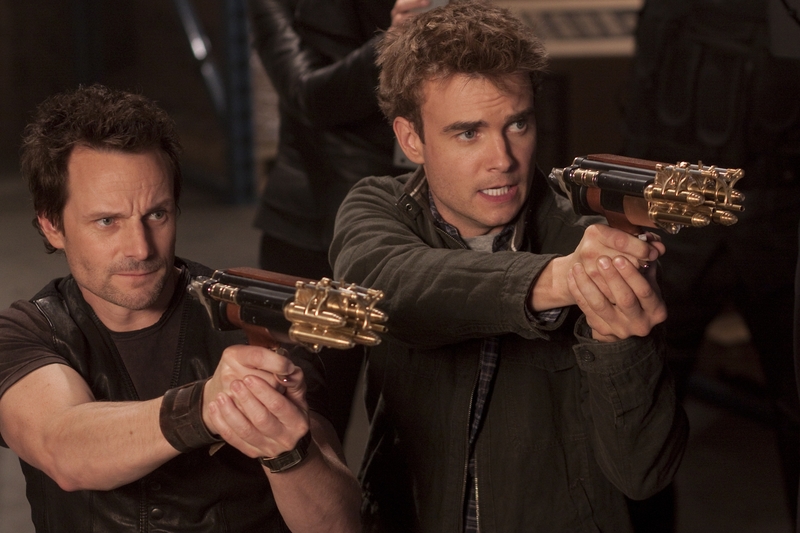 Will (Robin Dunne) and Magnus are on the move, but are they too late? Photo by Jeff Weddell and copyright of The Syfy Channel. Hiding out in an abandoned, derelict motel room until the immediate danger of the mob passes, Jimmy tends to Kate's gunshot wound. With little to do but talk and wait for Magnus to find them, Jimmy and Kate discover an unexpected common history. 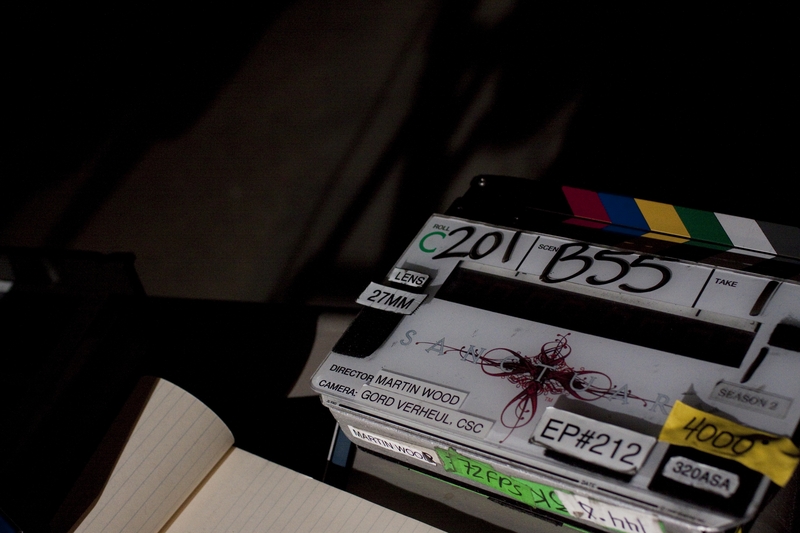 Penance airs Friday, December 11th @ 10:00 p.m. EST on The Syfy Channel. 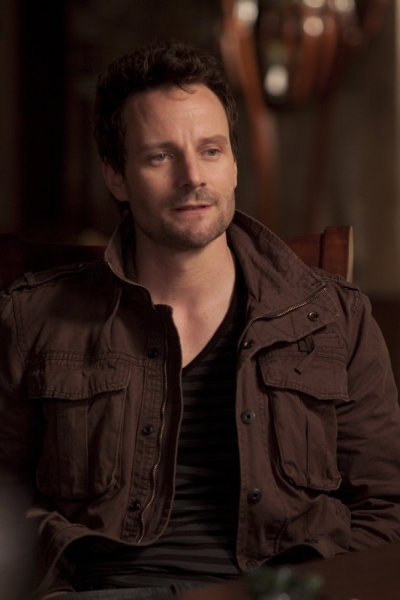 [caption id="attachment_4562" align="aligncenter" width="200" caption="Ryan Robbins as Henry Foss in Sanctuary. Photo by Jeff Weddell and copyright of Sanctuary 2 Productions"] [/caption] When it comes to tackling problems of a technical nature, Henry Foss is your man. Whether it's cracking a multi-digit encrypted code or breaking down a seemingly impenetrable firewall, there is no one better qualified or more likely to get results. However, as a member of Dr. Helen Magnus' Sanctuary team, Henry is more than just a gifted cyber-hacker. A descendant of her father Gregory's first weaponsmith, he has designed many of Sanctuary's weapons and is in charge of its defenses. Our beloved techie also has some hidden "talents" that he calls upon only in the more extreme of situations. Introduced in the Sanctuary webisodes, Henry made the leap last fall to the Syfy Channel's TV incarnation of the show as a recurring character, and this (second) season is now a regular on the series. 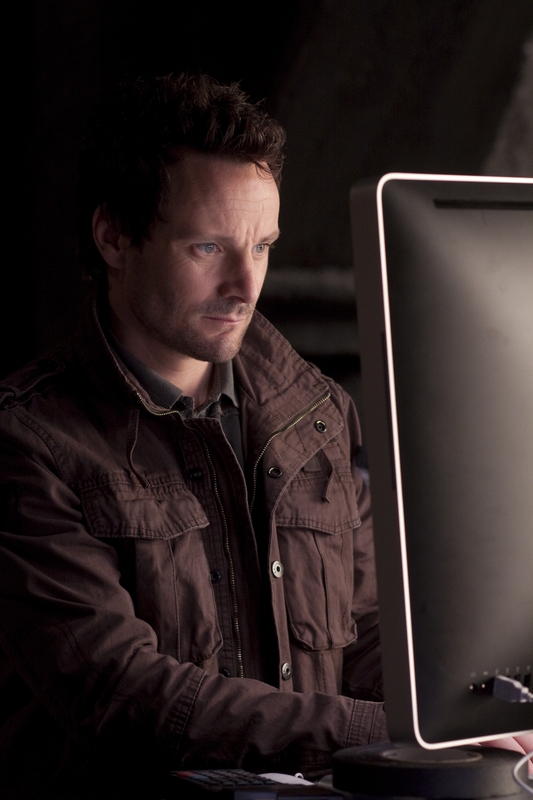 On this particular Monday afternoon in June, actor Ryan Robbins, who plays Henry, has been tapping into his character's techie side while filming the season two episode Veritas. Although the dialogue seems to roll effortlessly off his tongue, it took a bit of practice for him to get to this point. "To be honest, it was a little nerve-wracking at first because of the nature of Henry," says Robbins. "As the tech and weapons guy, my character has a lot of tech-talk and scientific babble, which was initially intimidating for me. Also, he was supposed to be the comic relief, and while I'd done comedy before, having to get a handle on being the funny guy in an otherwise dramatic series was, for some reason, difficult and I put some pressure on myself. [caption id="attachment_4563" align="aligncenter" width="200" caption="On the job with Henry. Photo by Jeff Weddell and copyright of Sanctuary 2 Productions"] [/caption] "Prior to this I'd been playing a lot of bad guys and killers, so this was a wonderful opportunity and a terrific acting challenge for me. So I just went with it and committed to the material and let myself have a good time, and so far things seem to have worked out. "Henry changed quite a bit from the webisodes to the first season of the TV show. 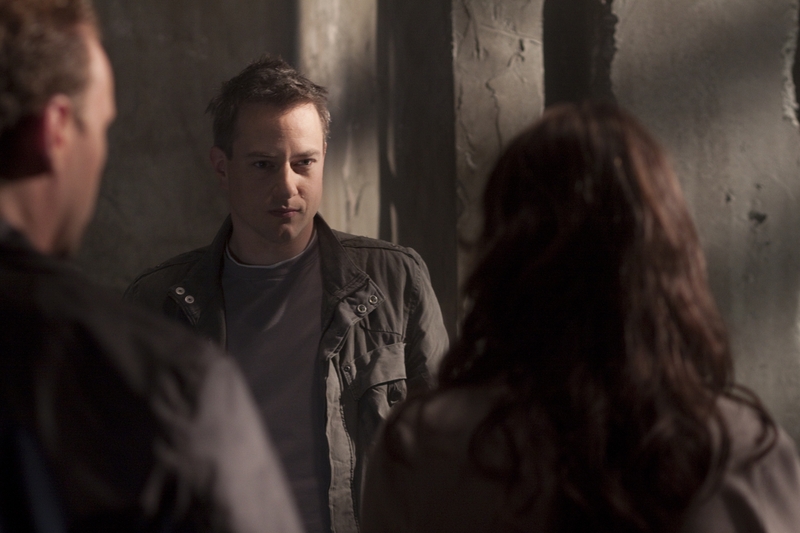 In season one of Sanctuary there was definitely more depth to my character as well as an air of mystery. Then later on, there was also a darker side to Henry that was revealed, with him being an Abnormal and having the werewolf beast inside him. That was a part of him that he couldn't control and it gave me even more levels to play in terms of relationships with the other characters. "So there were a lot of different directions to go in any given scene, which is a gift as an actor. Henry is such a neat character because he's so complex and his humor comes out of , not necessarily positive things, but rather from his efforts to overcome certain obstacles. What's the saying, 'Tragedy plus time equals comedy,' and I think Henry is the epitome of that in a lot of ways. It's almost like this running joke that he always has to be overcoming something, otherwise he's not Henry. Things can't always go right for him, you know? So many things just go wrong, but he's constantly trying, and that's what you've got to love about the guy - he just won't quit. At the end of the day, he's going to take care of business, but it can't be easy for Henry." [caption id="attachment_4564" align="aligncenter" width="200" caption="There is more than the eye can see with Henry Foss. 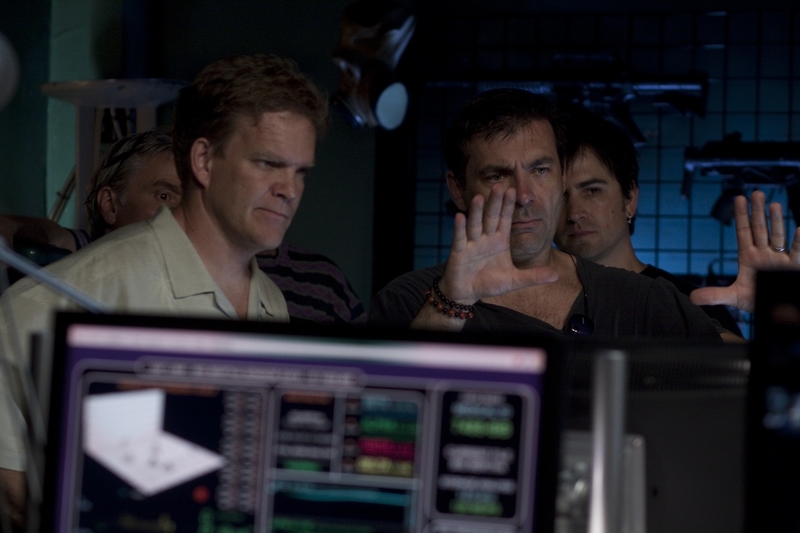 Photo by Jeff Weddell and copyright of Sanctuary 2 Productions"] [/caption] Having first directed Robbins in the two-part Stargate Atlantis episode The Storm and The Eye, Sanctuary executive producer Martin Wood later called the actor about playing Henry in Sanctuary's two-hour Internet pilot. "My Atlantis character [Ladon Radim] was only supposed to have a two-story arc and then get killed off," recalls Robbins. "However, Martin told me, 'I like you, and I don't want them to kill your character off.' So instead they killed a background character, and I stayed on. Ladon ended up becoming the leader of the Genii people, which was great and a lot of fun for me. 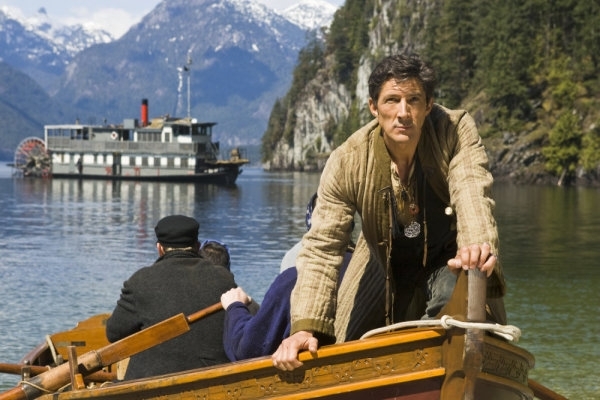 "Martin directed most of my Atlantis episodes, and when Sanctuary came up, the story is that he told [series creator/executive producer] Damian Kindler about this guy named Ryan Robbins who he should cast as Henry. And Damian was like, 'Ladon from Atlantis? But he's not funny,' but Martin said something along the lines of, 'But the guy who played him, Ryan Robbins, is kind of an oddball. He would be perfect for the role.' So they phoned me and I thought it sounded really cool, and being part of a show that was groundbreaking seems like a good idea, too. Then, of course, we wound up getting a first season on Syfy and now we're doing season two, so hopefully we'll be around for a while," says the actor with a smile. 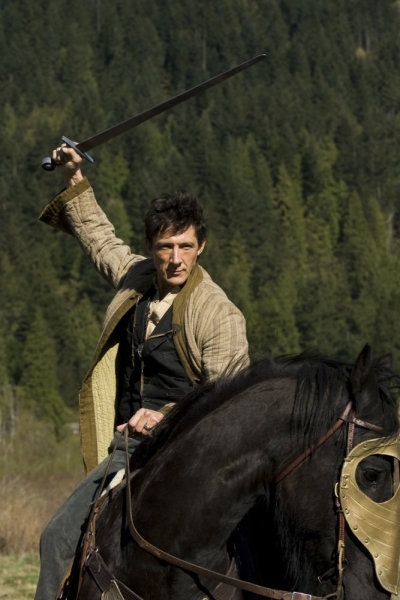 During season one of Sanctuary, Henry worked with Dr. Helen Magnus (Amanda Tapping), her daughter Ashley (Emilie Ullerup), Magnus' former patient and longtime friend/confidant, Bigfoot (Christopher Heyerdahl), and her new protegé, forensic psychiatrist Dr. Will Zimmerman (Robin Dunne), in the preservation and protection of centuries-old creatures called Abnormals. 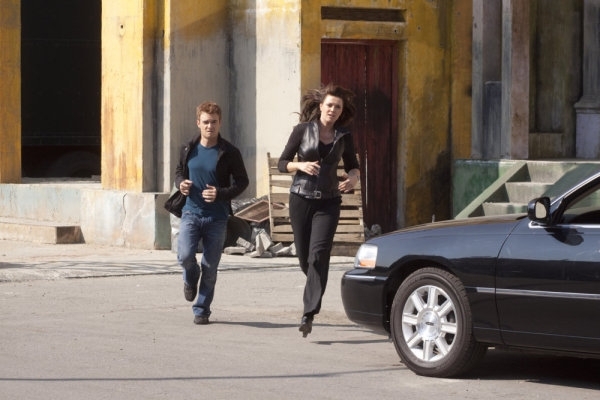 In the episode The Five, the Sanctuary itself falls victim to a series of mysterious attacks. The culprit turns out to be a snake-like creature, and in order to stop it, Henry reveals that he, too, is an Abnormal, more specifically, a werewolf. Before shooting this episode, did Robbins have any idea that his character harbored a hirsute alter ego? [caption id="attachment_4565" align="aligncenter" width="300" caption="Henry and Dr. Helen Magnus (Amanda Tapping) try to work through yet another crisis facing the Sanctuary. Photo by Jeff Weddell and copyright of Sanctuary 2 Productions"] [/caption] "We talked at the end of the webisodes and leading up to season one about this being a potential storyline for Henry in the future," says the actor. "Although it remained kind of vague for a time, I started off in season one playing Henry as having some sort of mystery, because I think characters with secrets are always more interesting to watch. So when it eventually came out that he's a werewolf, it seemed very natural and not entirely surprising. "If you go back and watch previous episodes, you can see that Henry is maybe hiding something about himself, and I love it. I think it works really well and creates lots of dynamics. For example, people living with an illness or other difficulty might go for days and days laughing an enjoying themselves just like everyone else around them. However, when they are reminded of that illness or situation they're in, they will fall into a funk and realize, oh, yeah, I've got to deal with this. For the most part, though, you try your best to get on with life. Originally, I feel Henry looked at his condition as being some sort of disease, but he's since been able to embrace it. I still don't believe he's entirely comfortable with it because he's still learning how to control it." 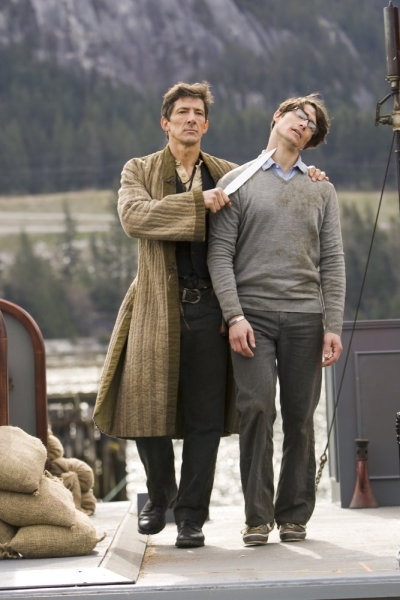 The following episode, Edward, - for which Robbins won a Canadian Leo Award for Best Guest Performance by a Male in a Dramatic Series - finds Henry contemplating surgery as a way of exorcising his werewolf persona. He changes his mind, though, when his abilities help him and his colleagues save the life of a fellow Abnormal. "I really enjoyed Five and Edward because they were quite dramatic and, again, interesting background stuff. I'm a comic book fan and I love origin stories, and it was cool to see a hint of an origin story for my character," he says. [caption id="attachment_4567" align="aligncenter" width="200" caption="Henry at work on yet another invention. Photo by Jeff Weddell and copyright of Sanctuary 2 Productions"] [/caption] "I also had a lot of fun shooting Nubbins, which was directed by Peter DeLuise. I just felt like was taken to comedy school in all the best ways, and gratefully and happily so. Peter knows comedy so well when it comes to timing and rhythm and sticking to it. I can't begin to explain how much I learned from him about hitting comedic beats, including stuff that you never even saw on the screen." In Sanctuary's two-part season one finale, Revelations, Helen Magnus' archenemy, the Cabal, unleash a biological weapon designed to turn Abnormals against humans. Ashley and Henry are captured when infiltrating a Cabal weapons facility to try to stop the development of the bio weapon, and the Cabal attempts to permanently turn Henry into a werewolf. "Man, were those ever intense episodes, especially the torture scenes with my character," notes Robbins. "It was weird because although I don't have a fear of needles, I don't especially like them. There's this scene where over and over again this woman had to inject a needle into Henry's arm, and I just kept thinking, 'Jeez, I know they're prop needles, but if that thing seizes up even a little bit, then it's going into my arm.' So it wasn't hard to play the fear of the needle," chuckles the actor. "On top of that, I'm strapped into this chair and here's Alex Diakun, who is a sweetheart of a guy, doing such an incredible and convincing job of playing the creepy and menacing doctor." [caption id="attachment_4568" align="aligncenter" width="300" caption="Ashley (Emilie Ullerup) and Henry are cornered by the Cabal in "Revelations." Photo by Jeff Weddell and copyright of Sanctuary 2 Productions"] [/caption] Thanks to Henry's Abnormal abilities, he and Ashley are able to escape from the Cabal, but not before the organization turns Ashley against her teammates. At the start of Sanctuary's second season, she and five others are transformed into super-Abnormals whose sole purpose is to bring down the entire Sanctuary network. 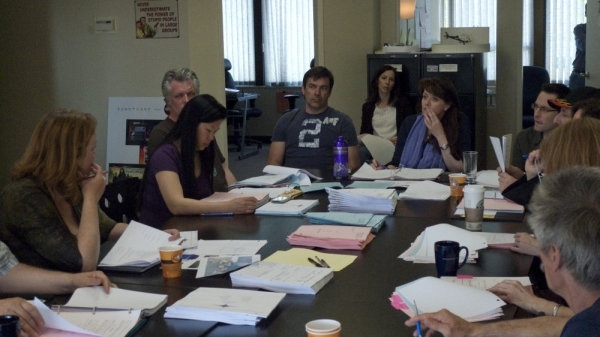 Despite the dire circumstances facing their characters, Robbins and the rest of the show's cast as well as crew could not wait to return to work. "When we came back for the second season, it felt like coming home," enthuses the actor. "There was this level of confidence and one of, 'OK, people dug what we did last year, so let's keep going.' So I think we all felt like we were maybe able to take a few more risks. Last year was one of discovery for all of us, and the episodes were written that way. 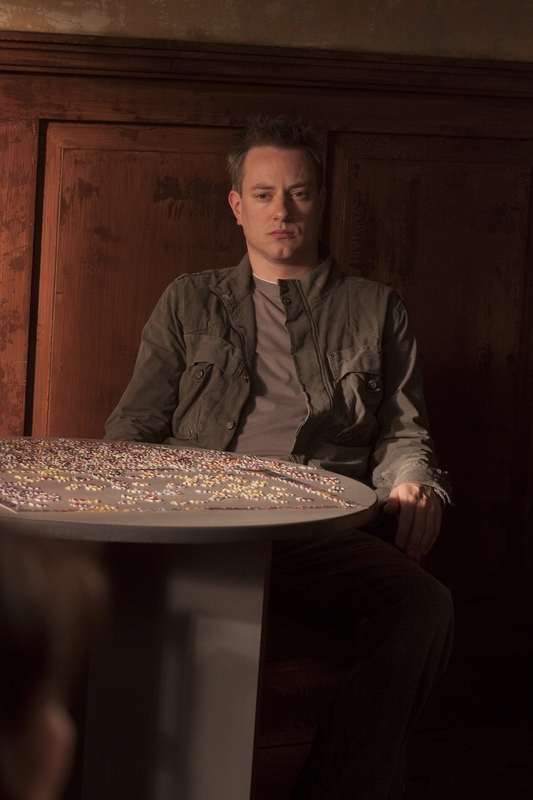 In season one, Will Zimmerman was not only the new guy, but also the viewers' reference. He was seeing everyone and everything for the first time, and in doing so, we were introduced to other characters and discovered things about them for the first time through Will's eyes. "Well, this year, we hit the ground running. I mean, Will is here and he's one of us. Now we're a real team and we're moving forward with a fury and on-fire. In the season opener [End of Nights], the action, the tension, the storytelling, everything was ramped up. Season one was cool, but season two is exceptionally cool. 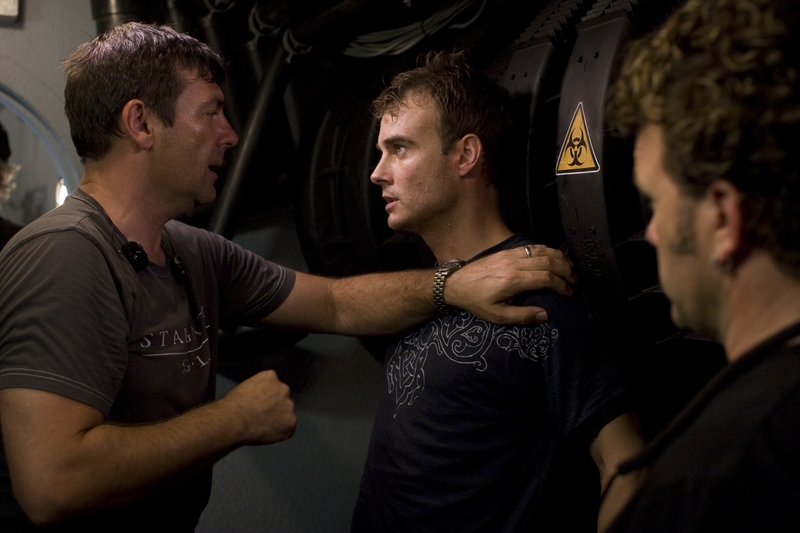 [caption id="attachment_4569" align="aligncenter" width="300" caption="Henry and Will Zimmerman (Robin Dunne) working side-by-side. Photo by Jeff Weddell and copyright of Sanctuary 2 Productions"] [/caption] "As for Henry, I feel like I have an even better understanding of him this year," continues Robbins. "I love playing this character and I feel now like I can trust in my acting as well as my instincts and not have to worry about whether or not this or that comes across or if my subtext shows. I actually like watching Henry on the screen, and that's a big deal for me because I don't like watching myself all that much. "We just finished shooting a wonderful Henry episode called Fragments, which was directed by Steve Adelson and guest-starring Anne Marie DeLuise. To tell you the truth, all the episodes have been really good so far. There have been some nice Henry/Bigfoot and Henry/Magnus moments this year. We've played it that Bigfoot has always known Henry's secret, so they've had a very close connection. And now that my character has embraced his Abnormal side and is trying to deal with it, there's this amazing bond that has developed between them. Henry has an amazing bond with Magnus as well, and now he and Will get to be buddies, too." In the aforementioned season two story Veritas, Henry helps Will and new team member Kate Freelander (Agam Darshi) find evidence that will prove Helen Magnus is innocent of murdering Bigfoot. The episode is Robbins' first time being directed by Sanctuary's leading lady, Amanda Tapping. 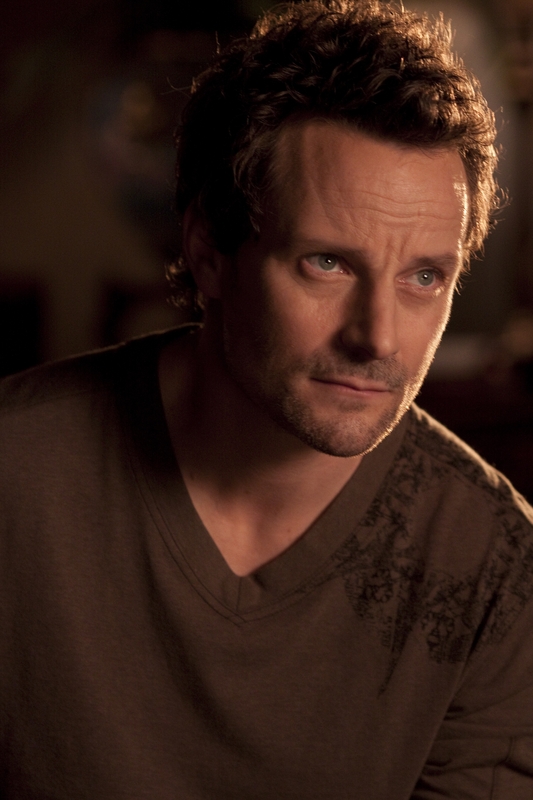 [caption id="attachment_4570" align="aligncenter" width="300" caption="Ryan Robbins and Anne Marie DeLuise in "Fragments." Photo by Jeff Weddell and copyright of Sanctuary 2 Productions"] [/caption] "She's a tyrant. There's the cracking of the whip and all the screaming and yelling, not to mention the potty mouth. Other than that, it's been fun," jokes the actor. "Seriously, Amanda is awesome. I'd work with her again as a director in a heartbeat and without question. Amanda is an exceptional and wonderful individual in everything she does, acting, producing, directing, it doesn't matter. She's one of a kind, and it's completely inspiring to be around her. And the crew really loves Amanda, too, especially today. It was only a 10-hour workday instead of a 12-hour one. Look how happy these guys are to be getting out of work now in this fantastic weather." Robbins was 12 years old when his desire to become an actor surfaced, but like most people that age, he did not know how to go about it. "I went to a very progressive arts-oriented high school with an intense theater program, and there was a teacher there named Drew Kemp who was sort of the catalyst that inspired me to pursue acting," he says. "My first big job was as a circus performer, and following that I moved back to Vancouver where a friend of mine who was a stuntman, suggested I try that as a way to break into acting, especially given my circus experience. I had a martial arts background as well, so I gave it a shot. Unfortunately, it's not a good way to break into acting, at least it wasn't for me. I had an accident and ended up compressing my spine. From there, I helped form an experimental band called Hellenkeller, which took off. We had a good run for about six years, and during that time there was a filmmaker who was also a fan of the band and she put me in one of her movies. [caption id="attachment_4571" align="aligncenter" width="300" caption="Bigfoot (Christopher Heyerdahl) and Henry. Photo by Jeff Weddell and copyright of Sanctuary 2 Productions"] [/caption] "I guess I did OK in the film because from there I got an agent and began getting acting jobs. When the band eventually broke up, I was working as an actor, so I feel that perhaps it was meant to be. I just kept following my gut. I don't like to say no to any opportunity, so I had a series of opportunities that presented themselves and I just wanted to seize them. Fortunately, they led me to where I wanted to be, so here I am making a go of things." Walking Tall, Catwoman and Passengers are among the actors' feature film credits, while on TV he has appeared in several made-for-TV movies as well as guest-starred on such series as Dark Angel, The Outer Limits, Smallville, Supernatural, The Guard and Battlestar Galactica. "I actually worked as an audition reader for the Galactica miniseries," says Robbins. "That's where I got to know [producer/director] Michael Rymer, and he offered me a role, which turned out to be at the very beginning of the miniseries. I'm the old man at the armistice station, and Number Six [Tricia Helfer] comes in and asks, 'Are you alive?' My character tells her, 'Yes,' and she says, 'Prove it.' So they kiss and then the place blows up and it starts a whole new war. Forty years of peace ruined by blowing me up. [caption id="attachment_4572" align="aligncenter" width="200" caption="A contemplative moment for Henry Foss. Photo by Jeff Weddell and copyright of Sanctuary 2 Productions"] [/caption] "I kept in touch with Michael, and in the show's third season he brought me in to play a bartender called Charlie Connor, which I did on-and-off for two years. It was a blast and that show is one of the best experiences of my career. That cast was amazing and the crew was phenomenal. Mary McDonnell [President Laura Roslin] and Edward James Olmos [Admiral William Adama] are incredible forces. They love this craft along with the environment of being on a set, and I learned a ton from my time on that show. In years to come, I think people will look back and realize what a relevant piece of history that program was, even though it was set in the future." 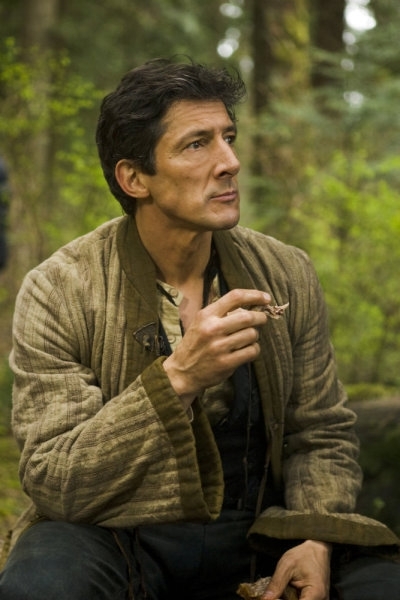 Besides Sanctuary, Robbins can also be seen in the web-based Sci-Fi/Fantasy series Riese and in episodes of the upcoming Syfy Channel series Caprica. He recently completed two films, Smile of April and The Masculine Mystique, and will soon start work on Wrecked. It has been a busy year for the actor, and that is music to his ears. "I never had a back-up plan and I don't have a retirement plan either," says the actor with a smile. "I don't want to retire. I want to drop dead on a film set when I'm 100 years old. I believe in my heart and soul that I'm supposed to be doing this and I don't ever want to stop." Steve Eramo As noted above, all photos by Jeff Weddell and copyright of Sanctuary 2 Productions, so no unauthorized copying or duplicating of any kind. Thanks!